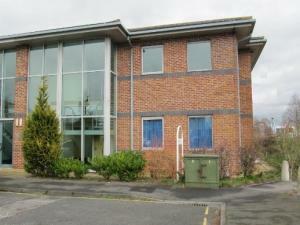 There are lots of choices of property for medical based facilities to rent in York. You could be looking for properties that would be suitable for research and development work. Or we have buildings that are ideal to be used for General Practitioners and doctors at MOVEHUT. Both public and private medical services are available to residents of York. Public healthcare in the UK refers to the services that are funded publicly. Private healthcare can prove more expensive, but the speed of treatment and availability of trained medical staff can make the cost worth considering in York. MOVEHUT can help you find the ideal commercial property, whether you intend to operate within the public or private spectrum. Healthcare or medical based property in York are the same as any other commercial property, all have use classes that define what they can be used for. With a hospital or nursing home you will typically find a property use class of C2, which denotes the property as a residential institution. So when searching for the right healthcare property to let in York, don't forget to check the applicable use class. There are several factors to take into account if you're searching for a healthcare property to rent in York. The price of the healthcare property and which location it will be in York are both factors to carefully think about. So, it's always good to be prepared beforehand, and with MOVEHUT, you should be able to make the right decision when renting a healthcare based property in or around York.